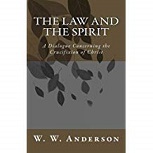 One of my goals in writing this book was to show how the Crucifixion can be interpreted in a manner that does not take into account certain concepts that a non-Christian might find hard to believe, but, at the same time, does justice to the Christian tradition. As stated on the home page of this web site, my theory does not depend upon a virgin birth, incarnation, physical resurrection, or original sin. How, then, does it do justice to the Christian tradition? I have interpreted this to mean loving God with your entire being, the intensity of which leaves no room for concern for yourself. Anyone who learns to do that in the manner I describe in my book, will be able to receive the spirit of Christ and will attain eternal life. In my theory, the spirit of Christ was, at the moment of his death on the Cross, transmitted into the world where it surrounded it like a magnetic field. It was invisible to most people, but some of his followers saw it, giving rise to the belief that Christ had been raised from the dead. Although the resurrection of Christ is central to the Christian faith, many biblical scholars and theologians have concluded that it was not a bodily resurrection but a strong spiritual presence in the minds of believers. They point out that the resurrection is represented as physical in only two of the gospels: Luke and John, and that Paul, whose letters were written much closer to the time of the Crucifixion than any of the gospels, described it as "appearances" of the risen Christ. (First Corinthians, Chapter 15). Paul's own vision of Christ was personal to him and not even seen by those who were accompanying him on the road to Damascus (Acts 9:7). Just as radio transmissions are strongest close to the source, the spiritual transmission at the Crucifixion must have been so extremely strong, that it created a visual impression among many of Jesus's followers as it did for St. Paul. Accordingly, I have envisaged the resurrection as spiritual, not physical. Original sin has been retained in my theory, but it has been demythologized. I have discussed demythologization in Chapter 5 of my book. To understand my theory, one has to accept that not everything in the Bible was meant to be taken literally, and that some of the stories are myths. There are, nevertheless, messages within the myths. Demythologization is a method of interpreting scripture, advanced by modern biblical scholars. It views a story as valid for the message it contains, but untrue as a literal account to the extent that it involves departures from the natural order, such as, for example, a talking snake. In the Christian tradition, original sin is the sin of Adam and Eve who disobeyed God by eating the fruit of the tree of knowledge of good and evil. Adam's sin permeated his entire body, including his seeds of reproduction. As a result, the original sin in Adam's seeds has been passed down from generation to generation of all of Adam's descendants which means all of the people of the world. Just as all of the flowers of tomorrow are contained in the seeds of today, so all of the people of today were contained in the seeds of Adam, and they all have inherited Adam's original sin. Although not labeled original sin, the universal human attribute of self-centeredness is a key factor in my theory. In Chapter 3 I contend that self-centeredness is derived from the self-preservation instinct held over from the process of evolution. Undue concern for oneself is what keeps people from loving God with all their heart, soul, mind and strength, that is, with their entire being. Just as Adam sinned by turning away from God in an act of disobedience, so also, self-centeredness is a turning away, or estrangement, from God. I have thus demythologized original sin by implicitly equating it with universal self-centeredness. In the Christian tradition, Jesus was without sin. He did not inherit original sin from Adam because he did not have a human father. When he was conceived in the womb of the Virgin Mary, the seed which carried Adam's sin from generation to generation was lacking. The significance of the Virgin Mary, aside from being the mother of God incarnate, is this impediment to the passage of original sin to Christ. He had to be free of sin for the Crucifixion to have the effect of relieving others of the consequences of their sins. According to the tradition, Christ, by dying on the Cross, rendered satisfaction to God for the sins of humankind. He took the punishment himself in place of others, paving the way for sinners to attain eternal life. Once the Crucifixion had been accomplished, a person's original sin could be washed away through baptism, and other sins could be forgiven through the Eucharist (Communion) and other sacraments of the Church. The Crucifixion could have this effect, however, only if Christ was free of sin himself. While God's justice required satisfaction for the offense against him caused by the sins of all people, no one who was a sinner himself could render satisfaction on behalf of others. Only someone who did not deserve to be punished could do so. In the tradition, then, Christ could be our savior because of the uniqueness of his birth. In my book, however, instead of the incarnation of God born of a virgin, I have described Jesus as a human being with a unique God-consciousness. He prayed without ceasing, maintaining continuous conscious communion with God. More than any other person, he was able to love God with his entire being in total unconcern for himself. He was thus completely devoid of the self-centeredness that I have equated with original sin. During the course of his life of constant prayer, he came to believe that God required him to die for the benefit of humankind. He was so focused on God, persevering to the end, despite his intense suffering on the Cross, that his spirit attained a unique shape which could only be achieved by his perfect love of God. This meticulously formed spirit enabled it, at the moment of death to unite with the spirit of God and be transmitted into the world. The spirit of Christ remains in the world to this day. It can be received by anyone who can learn to love God with his or her entire being. Once received, it replaces the self, which is no longer the object of concern, and carries with it eternal life. In the tradition the union of God and Christ is the Holy Spirit. It is the same in my theory, except that the union is purely spiritual and does not involve an incarnation. Although I have not said so in my book, this union is equivalent to what is known in the tradition as the Trinity. In my theory, then, the resurrection consists of the transmission of the Holy Spirit into the world by the union of the spirit of Christ with the spirit of God at the moment of Christ's death. The transmission must have been so strong at the time that many of the faithful perceived it as a visual impression. Original sin is self-centeredness, that universal attribute of human nature that keeps us from loving God with our entire being. Christ, who developed an extreme God-consciousness, was able to love God with his entire being, in disregard of concern for himself. This is comparable to the freedom from sin in the tradition that resulted from the virgin birth. Finally, the union of God and Christ in the spirit is akin to the incarnation. Thus, while the theory does not depend upon Christ's freedom from the original sin of Adam, birth from a virgin, incarnation of God, or physical resurrection, all of those concepts, as well as the Trinity, are, nevertheless, reflected in it. By so recognizing them below the surface, it purports to do justice to the Christian tradition.